Welcome to this rare, one story, 2040 Sq. Ft S&S built home. Located on cul-de-sac location. This completely updated home featuring fresh paint throughout, new light fixtures, engineered wood floors and brand new carpeting in each bedroom. The front, formal living room has built-in, custom shelving on either side of the beautiful stone fireplace. You'll love the large, open kitchen and family great-room that features another beautiful fireplace. 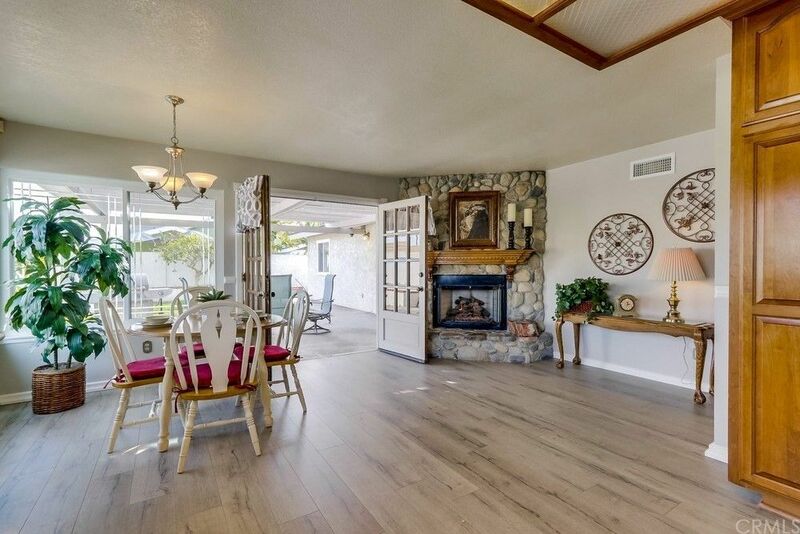 It has been tastefully remodeled and boasts wood cabinetry, stainless steel appliances, long granite counters-giving loads of workspace, and a pantry. This great-room is the perfect gathering place for family time and with the french doors opening onto the covered patio, it is great for entertaining! Down the hall you'll find the bathroom has been customized with claw foot bathtub, pull chain toilet and custom freestanding sink vanity. The huge master bedroom features a large bathroom with beautiful new quartz counter, vaulted ceiling, 2 closets (one a spacious walk-in closet) and beveled glass, french doors leading to the back patio area. This home features an additional added work room/home office, great for an art studio, crafting or home office. Corner lot location with addition gated side yard parking for RV, boat or additional cars. This home has it ALL & is located in a desirable neighborhood with great schools! HUGE PRICE REDUCTION TO SELL NOW!